The principle of circulation is exactly the same with modern hot-water central-heating systems, but the installation is much more sophisticated. The boiler should have its own cold feed-tank – a smaller version of the main cold water storage cistern and fed from the rising main in the same way. In addition, the heated water rises into a hot water cylinder of a different type, called an indirect cylinder. Though outwardly the same, it in fact contains an inner coil which is part of a closed circuit serving the radiators only. 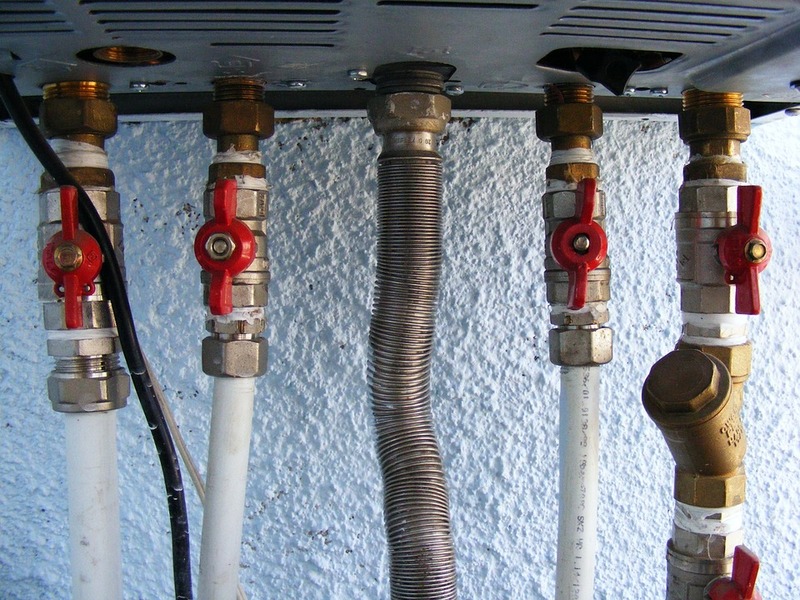 The domestic hot water supply is contained in the main cylinder surrounding the coil in the normal way and draws its heat from the water in the coil. The coil works, therefore, in much the same way as an electric immersion heater. There are two very good reasons for this somewhat complex system. Firstly, if radiators and taps took their hot water from a common supply, the efficiency of the heating would fluctuate wildly as water was drawn off in large quantities, for baths for example. Secondly, it would considerably shorten the life of the cylinder because of the continual introduction of fresh water, which contains natural corrosive elements. The water in the closed circuit is hardly ever changed, apart from some slight topping up that evaporation losses may bring or if the System has to be wholly or partly drained.